1879 was a notable year for the Morgan Silver Dollar. The Morgan design was first released in 1878 and production was increased by using four mints in 1879. There were a number of varieties and a very special ‘Schoolgirl’ pattern dollar. 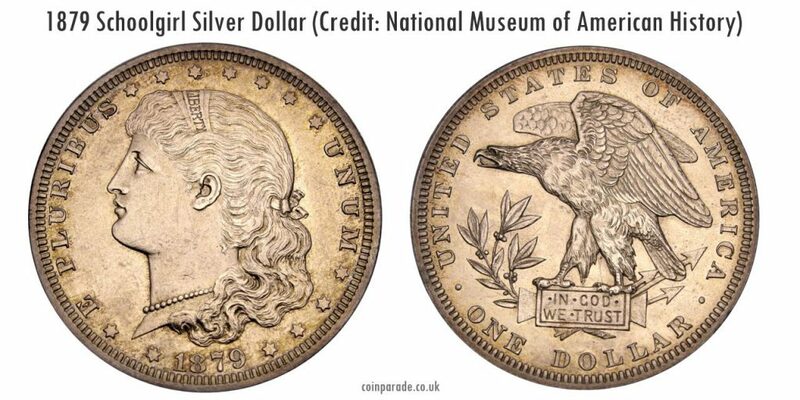 The Morgan Dollar was a USA silver coin minted from 1878 to 1904 and then again in 1921. It had a currency value of one US dollar. It is quite large (38.1 mm diameter) and is 90% silver. 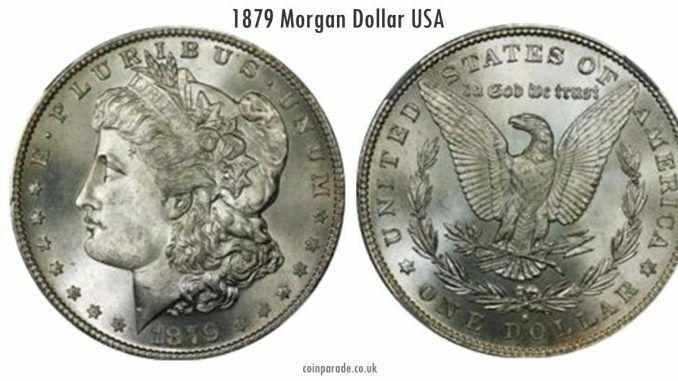 A more detailed history of the Morgan Dollar is in our article What is a Morgan Dollar? 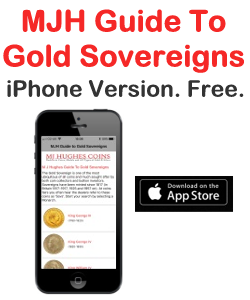 The name Morgan derives from the designer George T. Morgan (1845-1925). 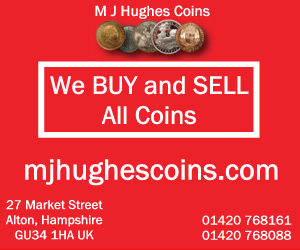 Morgan was originally from Birmingham, England and worked under William Wyon at the Royal Mint. He moved to America in 1876 to become the assistant engraver at the US Mint under William Barber. Morgan later became Chief Engraver of the U.S. Mint from 1917 until 1925. 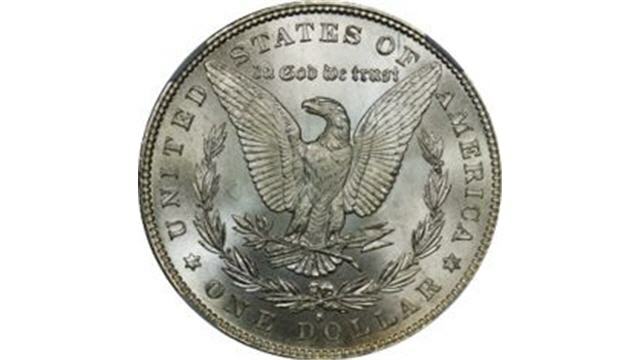 He is probably best know for the Morgan Dollar and the ‘Schoolgirl‘ pattern dollar described below, but he designed many other coins too. Mint marks were generally on the reverse just below the wreath. Philadelphia made the most, around 14.8 million; San Francisco produced over 9 million; New Orleans almost 2.9 million and Carson City about 750,000. San Francisco had two reverse variants. The 2nd Reverse had one side that had a top arrow feather that runs parallel while the other side has a concave breast. The 3rd Reverse had one side with slanted top arrow feather and a convex breast on the other side. Carson City had a few problems with the mintmark and are usually classified as CC over CC or Clear CC. Most of the 1879 coins are affordable except for the Carson City strikes which are a considerably higher price (maybe 10x). George Morgan also created a pattern for another dollar. The coin shows a youthful looking Lady Liberty facing left with her hair tied with a ribbon with LIBERTY inscribed in her hair band. She wears a string of pearls. The pattern was known to have been struck both in silver and copper. It is a very rare coin, with perhaps only 10-15 in existence. We’re talking big money here. Watch out for fakes. 1879-CC Morgan Silver Dollar $1 - PCGS VF Details - Rare Carson City Coin! 1879-CC Morgan Silver Dollar $1 - VF/XF Details - Rare Carson City Coin! 1879-CC Morgan Silver Dollar $1 - Fine/VF Detail - Rare Carson City Coin! 1879-CC Morgan Silver Dollar $1 - VF Details - Rare Carson City Coin! 1879-CC Morgan Silver Dollar $1 - XF Details (EF) - Rare Carson City Coin! 1879-CC Morgan Silver Dollar $1 - Fine Detail - Rare Carson City Coin!